Motorcycle accidents cases make up to 21% of healthcare issues according to a study by Regional Emergency and Trauma Hospital of Campina Grande. As common as they are, they can cause great pain and distress (death is the case sometimes). 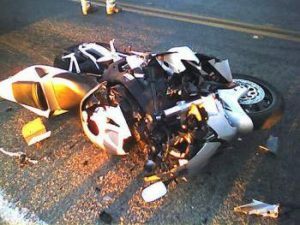 Getting full compensation for your troubles is possible with the aid of an experienced motorcycle accident attorney.In Torrance, CA, you can get an easy access to the services of a qualified motorcycle accident attorney by reaching out to Rawa Law Group. Rawa Law Group has spent more than 55 years in the business of providing injured victims of motorcycle accidents with the necessary legal representation to help them have a full settlement on their accident claims. At Rawa Law Group, we have some of the most qualified motorcycle accident attorneys who are quite attentive to your needs and ensure there is flexibility in your appointments. We offer you a chance to visit our office or we can visit your home or hospital if need be. It will cost you nothing to get in touch with Rawa Law Group in Torrance, CA as we offer our clients free case evaluation and we only get paid after delivering with positive results on your case. Rawa Law Group also ensures that you will have full knowledge of how your case is being handled from the start to the finish. To hire a qualified motorcycle accident attorney in Torrance, CA, contact Rawa Law Group at the following address.